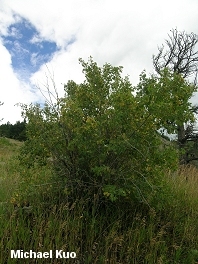 Shrub or small tree reaching only 10-30 feet; leaves with 3-5 lobes, toothed; fruit a small "helicopter"; growing in various montane and lowland habitats in western North America. 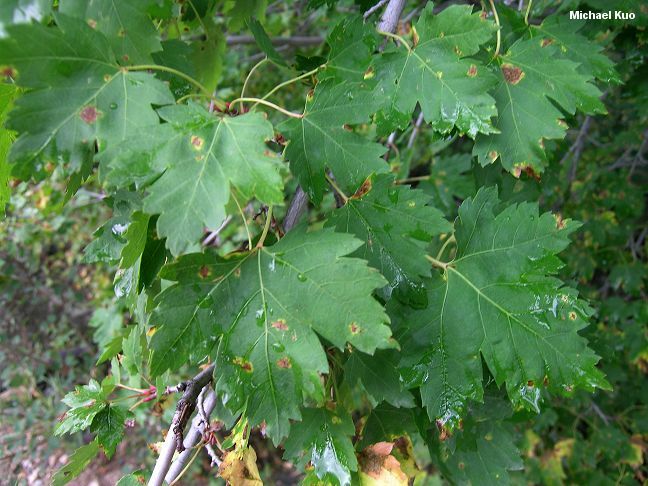 Habitat: Usually in moist areas, from mountain streams and canyons to lowlands. Stature: 10-30 feet high; under 1 foot in diameter; with a narrow crown. 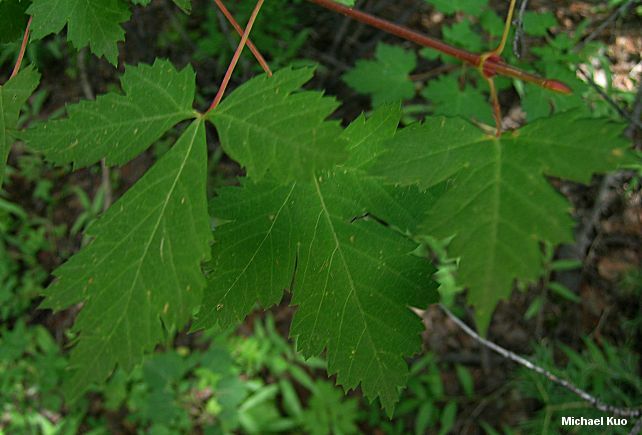 Leaves: 3-5 inches long; simple, with 3-5 lobes--but occasionally compound or nearly so, with 3 leaflets (both forms illustrated); prominently toothed; smooth; dark green above; light green below. Fruit: A reddish "helicopter" under 1 inch long.